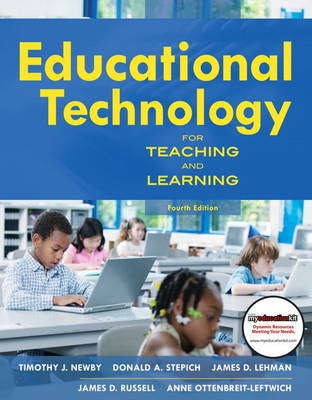 The Fourth Edition of Educational Technology for Teaching and Learning introduces current and future teachers to the approaches, methods, and procedures for integrating computers and other media into the curriculum using a systematic instructional design approach. This concise book provides the basics for becoming a knowledgeable educator in the 21st century: understanding the foundations of learning and technology and planning technology/media-supported learning experiences, integrating technology and media meaningfully into the curriculum, and ensuring the success of technology/media-supported lessons. The book is unique in the way it covers applications of technology and other media within a basic planning, implementation, and evaluation (PIE) framework.